The Lifeguard Commission will hold a Beach and River Lifeguard Tutors Course in Tramore over the weekend of 6th/7th October 2018. All recommended candidates must be active IWS Instructors with current IWS Membership. Closing date for receipt of applications is Friday 17th Aug 2018. National Water Safety Awareness Week. National Water Safety Awareness Week begins on Monday 18th June – it’s a reminder to us all of how vital it is that we make water safety a bigger part of the national conversation. This campaign strives to spur us all to be more aware of the very real and often unseen dangers that water poses but if we can be more conscious about water safety, together we really can bring the number of drownings in Ireland down. We had our final enrolment this evening and the camp is now full. 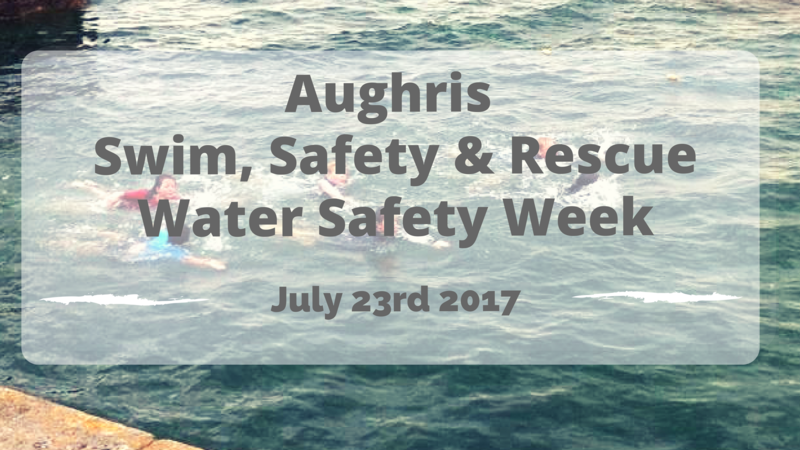 Enrolment for Aughris Water Safety Week will take place on Monday MAY 28th 8pm to 9pm in Skreen/Dromard Community Centre. As numbers are limited we cannot guarantee spaces. We are a summer Irish college based in Connemara and we require a beach guard for each of our 3 summer courses. The college will pay the successful applicant €1500 per course (before tax). The post requires that applicants are fluent Irish speakers. We will organise accommodation if necessary. For further information email colnanoilean@gmail.com or call us on 091-551933. The Irish Water Safety Surf Lifesaving National Stillwater Nipper competition took place on the 22nd April 2017 at the Sports Arena in University of Limerick with teams and individual competitors, aged 8-14 years, travelling from various clubs throughout the country, including Sligo Surf lifesaving club. The national event saw the very best of competitors, having qualified from regional events, test their surf lifesaving skills and abilities against one another in a highly enjoyable and competitive manner. Competitors competed in a variety of events designed to test the specific skillsets required to be a surf lifesaver including underwater obstacle courses, underwater races, rescue and relay events. Sligo were well represented with 20 nippers travelling having qualified from the Connacht/ Ulster Surflifesaving Regional Stillwater competition hosted by Sligo Water Safety in March. All competitors did their club and county proud, delivering strong performances with a number of top 10 and medal finishes. With the end of the Stillwater Season the focus now turns towards the upcoming Openwater Season with the Surflifesavers taking to the beach and ocean over the summer months. For more information of the activities of Sligo Water Safety, Like us on Facebook. 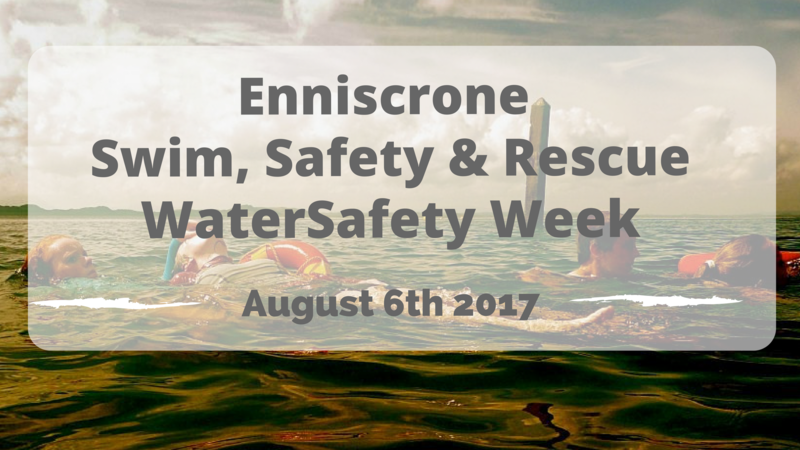 Enniscrone Swim, Safety and Rescue Water Safety Week beginning Sunday 6th August 2017. Enrolment Thursday 3rd from 6-8pm Saturday and 5th August 8pm at the pier. Aughris Swim, Safety and Rescue Water Safety Week beginning Sunday 23rd July. Enrolment Friday 21 July from 7-8pm.